Buncrana Golf Club is the oldest 9-hole links course in Ireland. 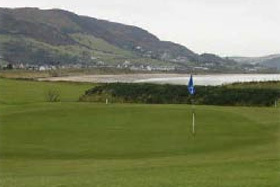 Overlooking the beautiful Lough Swilly it delivers a challenge to the most advance golfers yet, offers enjoyment to beginners also. Buncrana Golf Club is located on the entrance to Buncrana town and 200 metres from the Tourist Information Office. For further information and Green Fees visit http://www.buncranagolfclub.com for full details. Buncrana Golf Club is only a 20 min drive from the Glen House.